The Turtles stepped into too much ooze and got 100% more badass in Allen Geneta&#39;s fan-art. 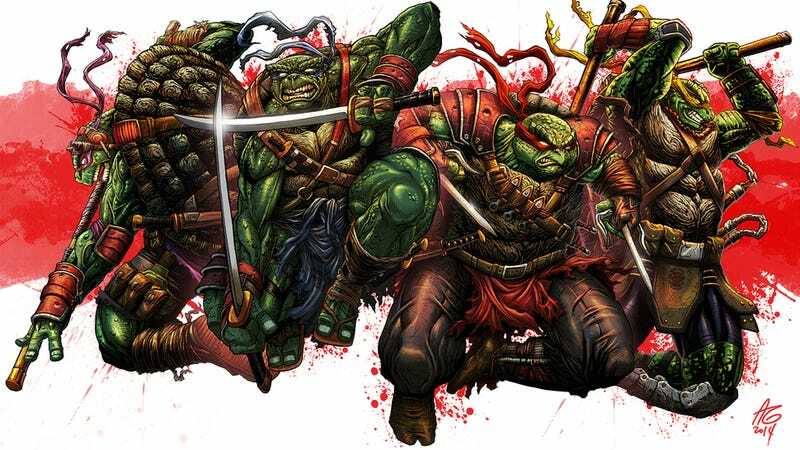 The Turtles stepped into too much ooze and got 100% more badass in Allen Geneta's fan-art. 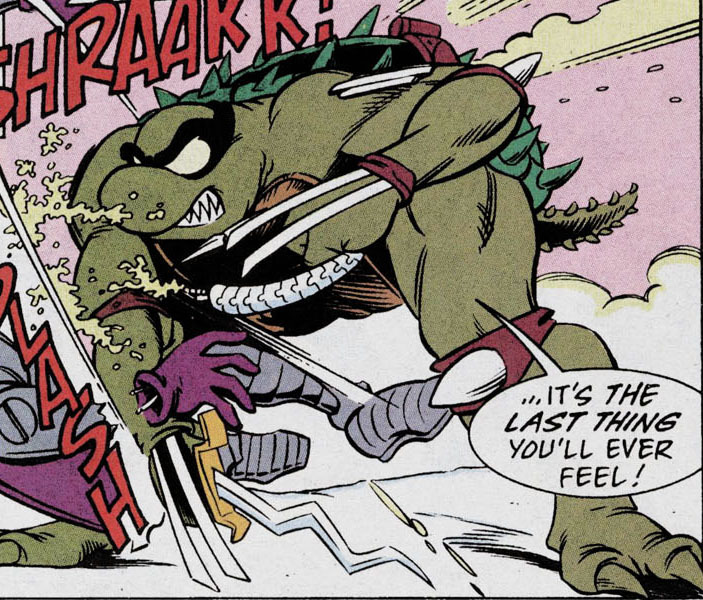 Compared to these, their crazy mutant nemesis Slash looks like a nice guy.